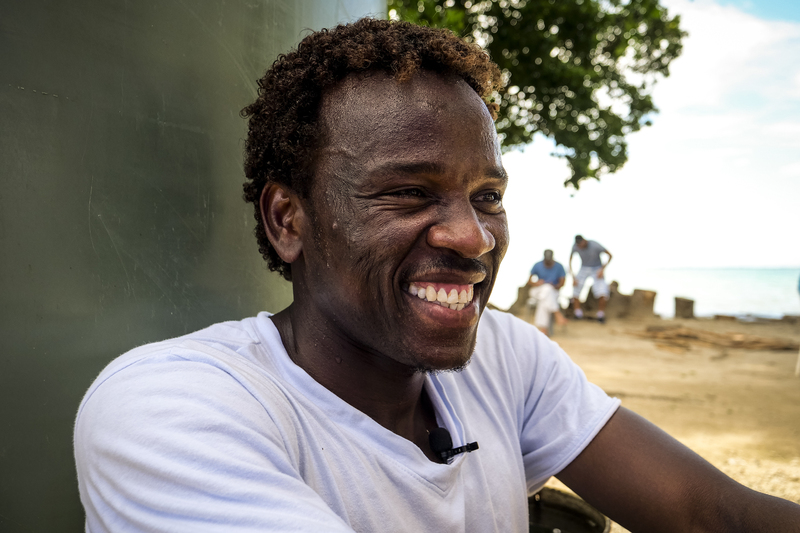 In 2013 Aziz fled his home in Sudan to escape conflict. He tried to seek safety in Australia, but instead, the Australian Government sent him to suffer in the detention centre on Manus Island. Five years later, he is still detained on Manus and is a leading spokesperson about the grave situation within the detention camps. But Aziz and many others are afraid that they will end up in jail if they speak out about conditions on Manus. Those labelled as “troublemakers” have already been arrested and detained without charge. In 2015 Aziz was held without charge by Papua New Guinean police for holding a hunger strike with other detainees. But that hasn’t silenced him. He continues to speak to the media about the situation on Manus, shares updates on Twitter, records a podcast and peacefully protests against human rights violations. Aziz and others detained on Manus need to be allowed to speak out, and to let the world know what’s happening on Manus. Abdul Aziz Muhamat fled war-torn Sudan in 2013, and was directly transferred to the detention centre on Manus Island after attempting to reach Australia by boat to seek protection. He is now one of the leading spokespeople about the grave situation within the detention camps. Using his mobile phone, Aziz shares news, photos and a series of WhatsApp voice memos to make a podcast to expose the cruel reality of Australia’s immigration policy. I ask that Abdul Aziz be able to carry out his legitimate human rights work without being subject to further arrest, intimidation or threats by Australian or Papua New Guinean authorities. I also ask that Abdul Aziz is offered refugee protection in Australia or a safe third country.